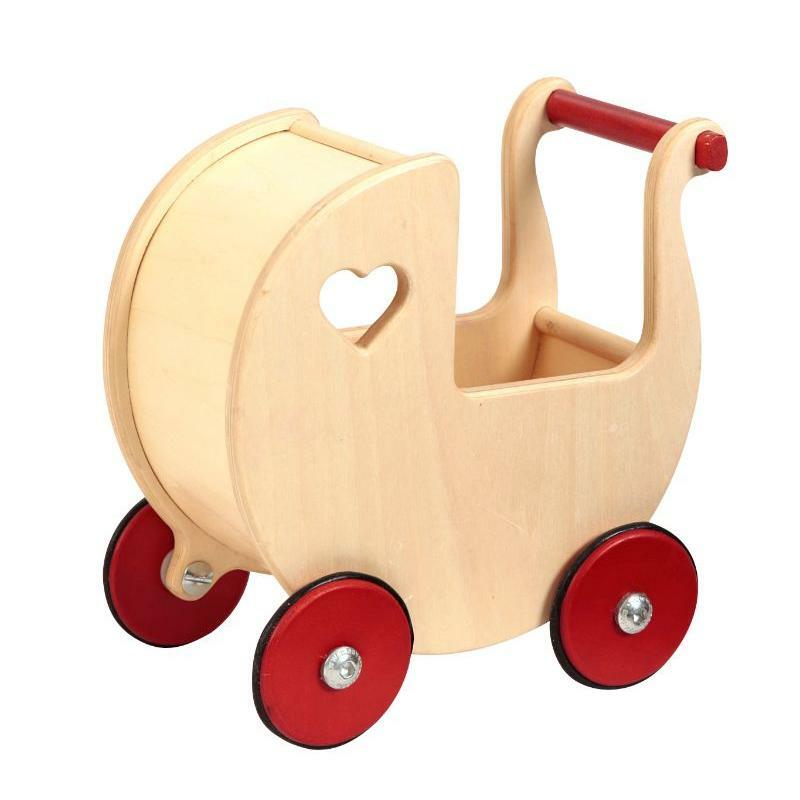 Moover Toys’ Dolls Pram is both classic and modern in its design with focus on what children like to see, touch, and play with. 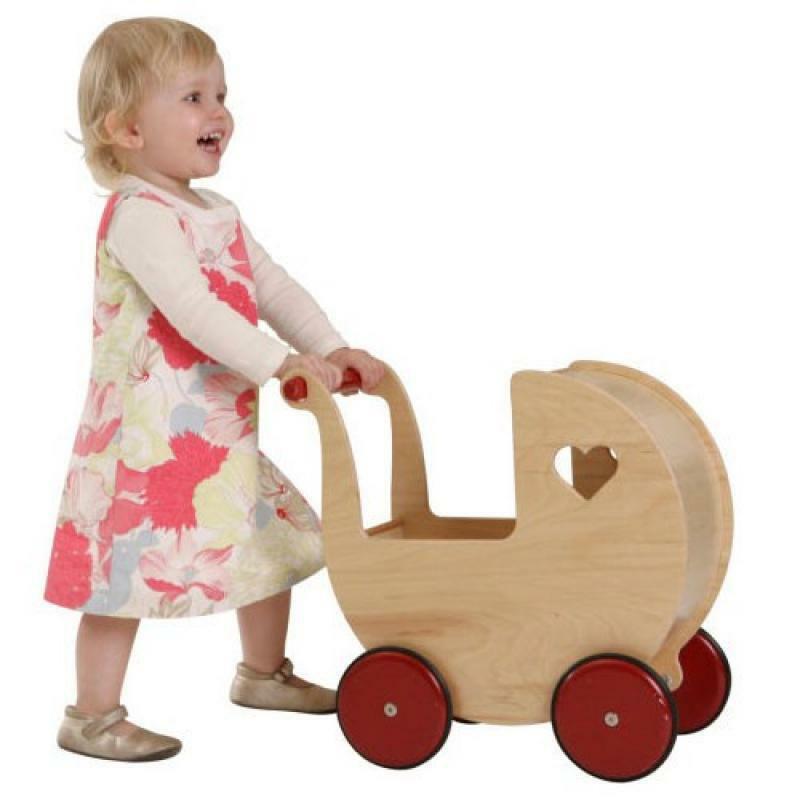 The dolls pram is made of high-quality birch veneer and supplied with massive wooden wheels with rubber tires. The back is made of one piece of moulded thin veneer. It is delivered assembled, ready for use. Natural Design: Designed by Kåre Tofte, Denmark.